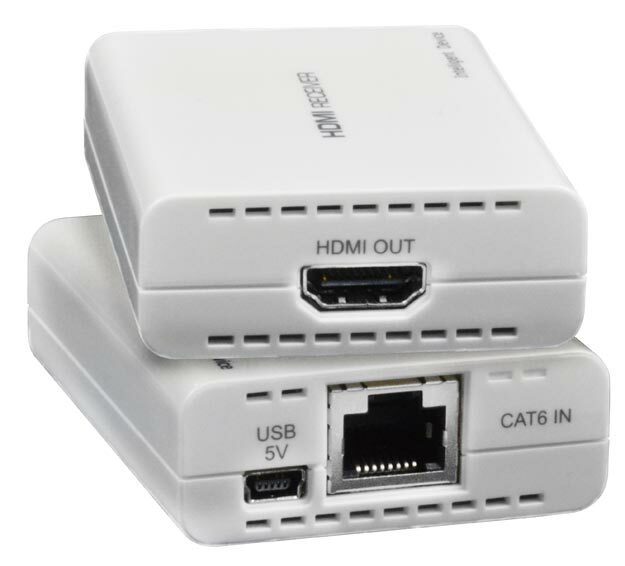 over CAT6, monitor splitter, share video, split HDMI video, hub. Operating /Storage Relative Humidity: 20 to 90% non-condensing RH. ST-C6HD-R-150LC: With 8-bit color, extend to 150 feet. With 12-bit color, extend to 50 feet. ST-C6HD-R-130LC-CLR: With 8-bit color, extend to 130 feet. With 12-bit color, extend to 50 feet. ST-C6HD-R-150LC: 150 feet (46 meters) over CAT6 cable (23 AWG). ST-C6HD-R-130LC-CLR: 130 feet (39 meters) over CAT6 cable (23 AWG). 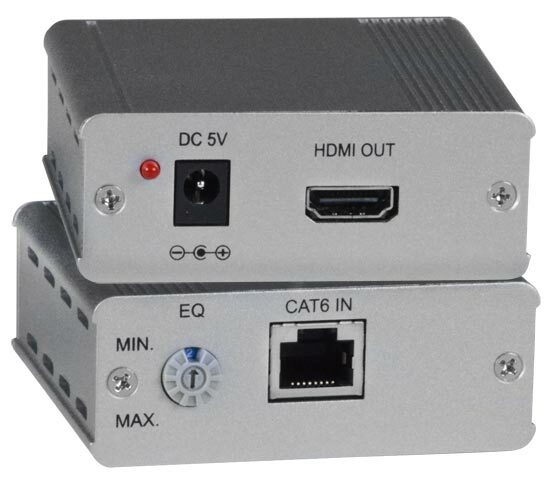 ST-C6HD-R-150LC, or ST-C6HD-R-130LC-CLR to an Ethernet card, Ethernet router, hub or switch or other Ethernet RJ45 connector of an Ethernet device. Damage to devices connected to the Ethernet may result.